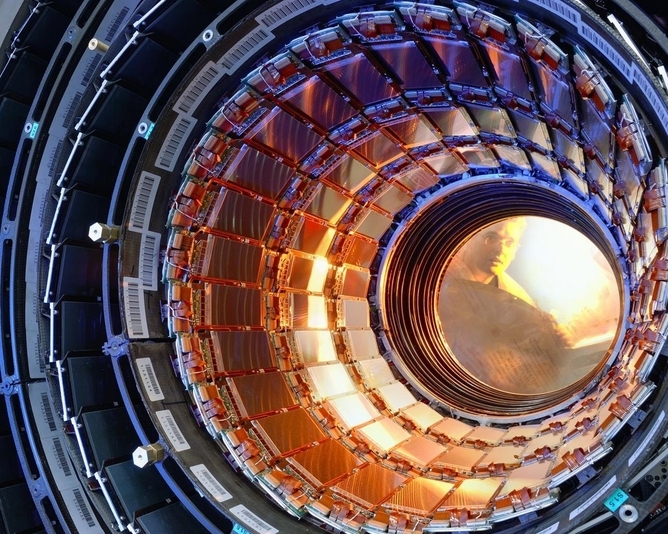 There’s a certain degree of anticipation and anxiety among scientists at CERN and beyond as the Large Hadron Collider prepares to roar back into life after a two-year break. Upgraded with more powerful magnets to smash particles together with almost twice its previous energy, this will bring with it the opportunity to discover new, even more massive particles – just as with the Higgs boson – that will signpost the way beyond our current understanding of particle physics, the Standard Model. Why do we think this? Because Einstein’s equation of energy-mass equivalence – more familiar to people as E=mc2 – tells us that in order to make more massive particles we need more energy – even more than the LHC has been capable of delivering so far. But energy is only part of the story; what’s also needed is greater precision, more sensitive detectors that allow for more nuanced data, which reveals rare events or subtle effects not previously observed. To this end, the detectors have been upgraded too. ATLAS, one of the four main experiments built around the 27km of the LHC complex, has gained the capacity to measure the paths of the charged particles produced in the collisions. This has improved the accuracy with which we can measure the lifetimes of these ephemeral particles that in some cases exist only for a tiny fraction of time. The experiments have also increased the rate and selectivity with which they record collisions in the LHC. 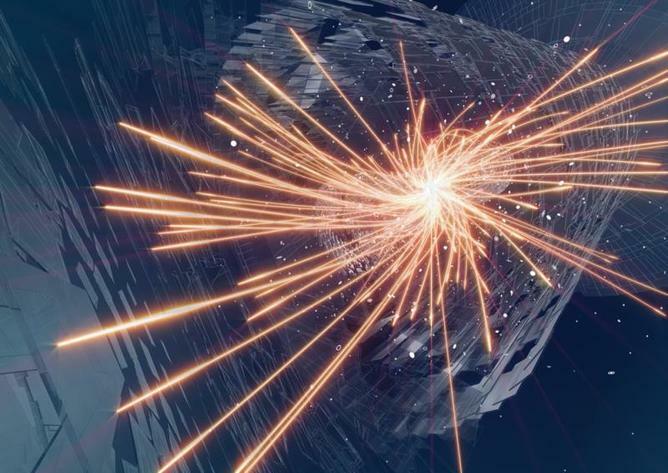 As a great deal of subatomic particle physics is already known, the more unusual, exciting events are hidden within a huge torrent of data representing more mundane particle interactions. The sheer volume of raw data – about a petabyte, or around 210,000 DVDs per second – from the experiments requires algorithms to rapidly filter and select the new and unusual events for further study while discarding the rest. Particle collissions in the LHC have taken us to the edge of physics. Better selectivity is not the end of the problem, however. To cope with the volume of data produced by the experiments due to the more energetic collisions and more sensitive detectors means new software and storage procedures must be written. These will also transmit the data across the worldwide distributed computing system, which allows not just an accurate reconstruction of each collision from the traces recorded in the detectors, but also more rapid access for scientists to the records. It’s a lot of hard work under tight budget constraints, but the effort is worth it. There are many open questions that the Standard Model simply cannot answer. Is the recently discovered Higgs boson the particle the Standard Model predicts, or is it the first of a family of undiscovered, even more rare Higgs particles that are predicted by more complete but speculative theories such as Supersymmetry? What is the nature of the dark matter that astronomy tells us is far more abundant than the ordinary matter we’ve come to understand so well? How did a Big Bang that produced a balance of matter and antimatter result in the world of matter that we know today? 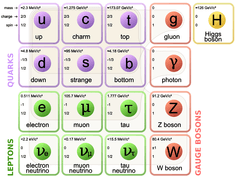 The Standard Model of quarks and other particles, including the Higgs boson. My own principle interest in these questions is being addressed through studying the decays of particles containing quarks, the fundamental particles found inside the protons and neutrons that constitute an atomic nucleus. 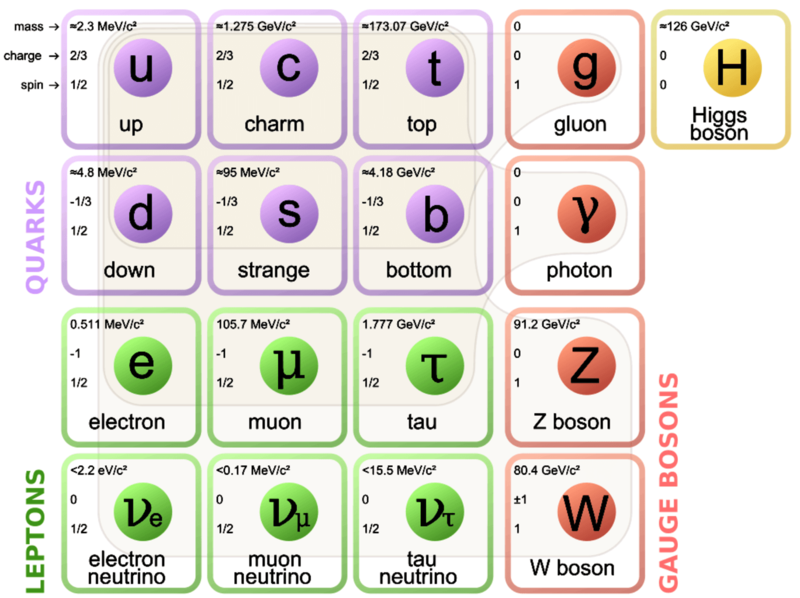 Of the six types of quarks it is the bottom quark (also known as the beauty quark) that is particularly interesting as the way it decays displays a small bias for matter over antimatter, but not enough so far to explain the world we know. However, through an odd but well understood quirk of quantum mechanics, new and massive particles even bigger than we can produce in the LHC can affect these particles’ decays and leave a trail to the new physics we need to develop to better explain the universe. Some of these studies are already underway at dedicated experiments like LHCb, which has already proved several hypothesied supermassive particles within the Standard Model, but for others general purpose experiments like ATLAS can be better. Unlike the first season of experiments with the LHC, once the first proton beam fires up on March 23 we will not have such a clear roadmap of what to expect, or what to aim for. The first run was led by the knowledge that we would either find the Higgs and add to the Standard Model, or not find it and break the Standard Model in an act of creative destruction pushing us on to find better theories. This time, there is a clear programme of work around the Standard Model, including the Higgs, but we have many guides that point towards new physics. Most analyses will advance science through excluding possibilities, but the new discoveries will be all the more enlightening. In a sense, we have entered a mode of more pure scientific discovery – and I for one cannot wait.